I’ve worn corrective lenses for most of my life, 16 years to be exact. This year though, my eyesight went to a whole new level of weakness at 600/650. And even with eyeglasses or contact lenses, I still couldn’t see properly. I’ve had difficulty driving at night and reading texts written on the whiteboard even if I’m seated in front of the class. I’ve had two separate trips to the Optometrist earlier this year to get a higher lens grade but both trips were unfruitful. My eyes couldn’t bear a higher lens grade: I couldn’t stand, let alone open my eyes for long, when wearing a 625/675 lens. I’ve been saving money for this Lasik Surgery for quite some time. I actually have a Lasik Fund in my monthly budget. And with my poor eyesight taking a toll on my life, I knew that this year could be the perfect time to put that Lasik Fund to good use. And by stroke of luck, I received an email from Shinagawa Lasik and Aesthetics informing me that they have a Lasik promo for their 7th anniversary. I’m already familiar with the company as my classmate from college, Tasha, used to be an Aesthetic Nurse there. Because of her, I also availed of one of Shinagawa’s hair removal services about three years ago. 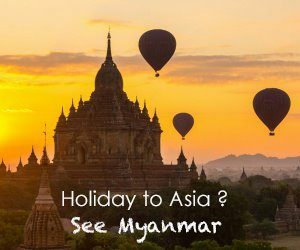 I signed up for their newsletter because I was curious about their promos and new services. This curiosity led me to one of the best decisions I’ve made in my life. I replied to the 7th anniversary email with my contact details and eye grade and was assisted by Ms. Gee Ranchez. That Tuesday, A.K.A. Screening Day, Doc RJ assisted me and I sat down before 2 machines at first (much like the ones used in eye clinics like EO and Ideal Vision). This was followed by more tests with different side-facing letter Cs, broken lines, and red and green circles. And then I was led to what they call the ‘dark room’ where I underwent three more machines. My least favorite was the Air Puff Machine which pretty much does what it name implies: puff air to the eyes to measure intraocular pressure. The sudden gush of air wasn’t painful, but it was uncomfortable especially that it was done three times per eye. Dr RJ then gave me Tropicamide (Oromide Plus) eyedrops (one drop per eye for a total of 3 drops each with 5 minutes interval). I was told this will dilate my pupils so they can further confirm if I am cleared for the procedure. I was asked to go back to the clinic after an hour. Since I was alone during the screening day, I decided to stay in the clinic because I might not be able to see my way back if I eat out. Good thing, I packed a sandwich with me so I just killed time eating. I wanted to read but noticed my vision was too blurry at near sight: I couldn’t even read the text messages on my phone. After the one hour wait, I was called in again for the final verdict. This final test will determine if I am eligible for Lasik. 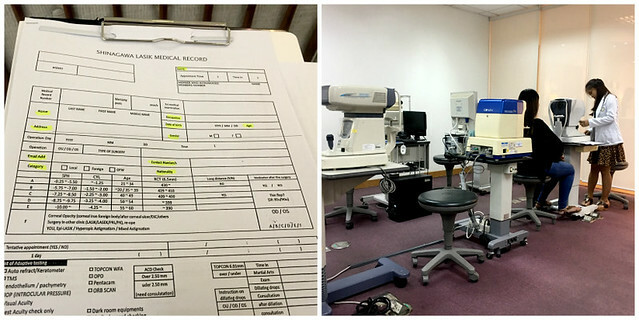 I went to Dr. Raffy Rodriguez’s office where I was told: ‘Yes Peng, you are cleared for Lasik, see you on Friday’. I went home very happy and excited. I still have blurred vision but I was able to go home perfectly safe. Some blogs recommended that you bring a companion on both the screening and procedure day. But in my case, I was able to go home alone fine. I guess going home alone is dangerous for people who will be driving, but if you are to take public transportation, that shouldn’t be a problem. The blurriness of my vision was gone about 5-6 hours after the screening. Armed with my sister as my support system and the countless articles I’ve read about Lasik Surgery, I braved the rainy streets of Makati three days after. According to the blogs I’ve read, the patients were discouraged to use deodorant, cosmetics, lotion, shampoo and soap on the day of the procedure. This has something to do with these chemicals altering the stability of the laser. I asked Ms. Gee about it but she said such preparation is not required; I just need at least 6 hours of sleep the night before. But for good measure, I still didn’t use any of the said things. I bathed with just water and wore comfortable clothes. Upon arriving at Shinagawa Makati, I settled my payment for the procedure and signed a consent form. 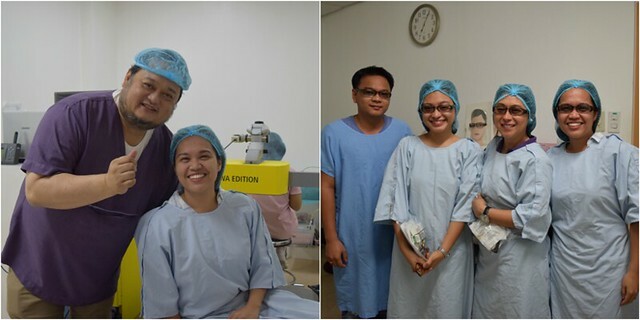 I then went inside the Lasik Room, don on sterile gown and hair cap and found nine other patients for Lasik. I received a post-operative kit containing eye drops, eye shields, micropore tape, pain reliever tablets, and protective eyeglasses. Nurse Mariam administered three eye drops to each of my eyes (Anesthesia, Levofloxacin (antibiotic) and Decongestant). She also told us what to expect with the procedure and instructed us on the do’s and don’ts afterwards. So there were ten of us for Lasik that hour, right? I was surprised I was patient #1! I felt a bit nervous when my name was called, but it was a good thing my sister was with me the whole time. The actual Operating Room was just a few steps away from the Lasik/Recovery Room. Being patient # 1, I got inside the OR first. Nurse Mariam assisted me in removing my eyeglasses while saying: “Hindi mo na yan kakailanganin mamaya, Ma’am” (You wouldn’t be needing that anymore later Ma’am). Absolute music to my eyes… EARS, I mean. I was already lying on the operating table when Dr. Jaime Dinglasan came in. 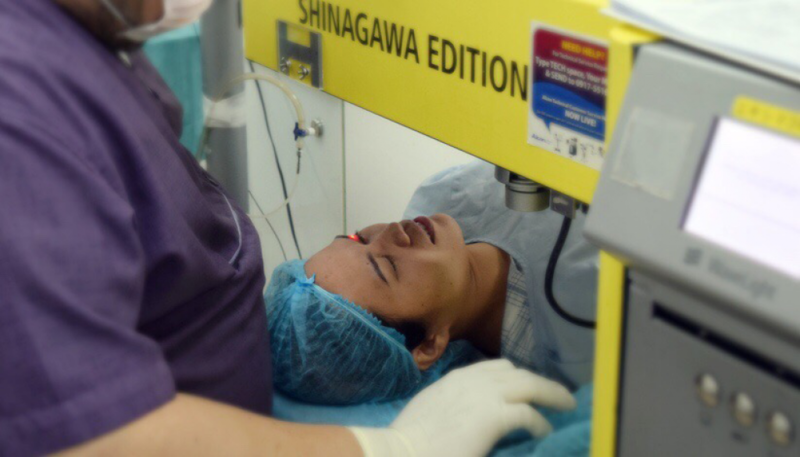 He is Shinagawa’s Lasik Director and did the procedure for the likes of Anne Curtis and Ellen Adarna. Dr. Dinglasan greeted me and reassured me that it will be a quick procedure. I have two tasks though: to stay still and look straight to the light. He expertly placed a clamp and tape to my right eye first. I have poor eyesight of course so it was a bit difficult for me to focus on the light, which was red at first and then eventually became green. The part when the suction was applied to lift my lens was when I felt most nervous: I couldn’t see anything for 30 seconds! What if I would be blind forever? But Dr. Dinglasan gave me a heads up and counted down from 30 to zero. True enough, after half a minute, the red/green light (I couldn’t remember what color) reappeared. Whew! A few seconds later, I smelled cautery (smell of burning flesh). I am a nurse remember? That’s why, I am familiar with the smell. That time, I knew the laser was being applied to reshape my cornea. I felt nothing. If I haven’t smelled it, I wouldn’t be able to know. Shortly afterwards, my left eye was next. Since this eye is closed for the time the right eye was being operated on, it was still on resting position when the clamp was applied. When the clamp was placed, I felt it was pressing too hard on my left cheek. Dr. Dinglasan instructed me to open my eyes wide to retract the clamp. True enough, the pain went away. I even heard the medical team clapped their hands! The moment I get up from the procedure table, I noticed my eyesight has already improved significantly. I was able to see my sister’s and the nurses’ faces without my eyeglasses. My vision was a bit cloudy but undoubtedly clearer. I went back to the Lasik/Recovery Room. I excitedly narrated what happened to the other patients. After a few minutes, my eyes became very heavy and I couldn’t open them. They were also crying on their own and my sister told me they were swollen. Dr. Dinglasan came back to check on us and gave discharge instructions. He reassured me everything is normal and he will see me again the next day for check-up. Of course, despite my very swollen eyes, I and my sister still took the opportunity to snap photos inside the clinic #priorities LOL. We also ate dinner in the nearby McDonalds. Yes, all the while with my eyes closed. I couldn’t see my french fries and almost bumped my soda. Gosh, my sister was laughing and making fun of me the whole time! But she took good care of me, in all fairness. I also felt slight pain on my eyes and so I popped in one Mefenamic Acid (pain reliever, available in the kit from Shinagawa) during dinner. We took an Uber home. I actually barely slept because I needed to wake up every three hours to put Ofloxacin (antibiotic) eye drops to my eyes for the first 24 hours. I also have eye shields taped to my face so I wouldn’t accidentally scratch my eyes during sleep. All of these were provided in the post-operative kit from Shinagawa. The first morning after Lasik was really special: no groping for my eyeglasses and everywhere I look was amazingly clear. 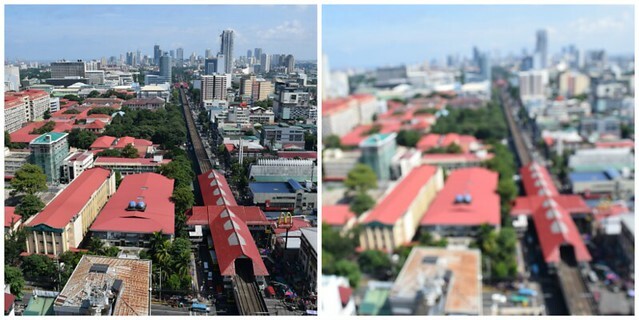 I’ve long lived with poor eyesight so seeing the world crystal clear was such a shock to me. 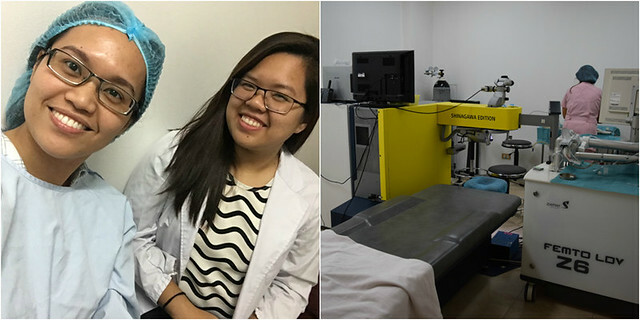 And so after feeling all giddy for my new-found perfect eyesight, I traveled back to Shinagawa Makati for my one-day post Lasik check-up. This check-up is very important so if you are planning to have Lasik, there is no way you should miss this. Upon arriving at Shinagawa, they again did some checks on my eyes and happily told me that I now have 20/12 vision. Stop all this ramble Peng, so how much is it? Yes, I know it sounds a lot, but the regular price is Php 140,000. Calm down and remember I availed a special promo. The screening fee is not yet inclusive in this Php 57,777 so I had to pay an additional Php 3,000. Thus, my entire Lasik package was Php 60,777. And that amount was well worth it. Honestly, I didn’t feel any regret as I have saved up for this for a rather long time. I’ve prepared long and hard for this: almost three years to be exact. I saw several promotional advertisements on Lasik before but my savings weren’t enough by then. I practiced delayed gratification to finally pool all the money I needed. And the reward was certainly priceless. I know the price could be a turn-off to those wanting to have Lasik. It sure is expensive, but not impossible to avail if you’re determined to make the necessary sacrifices.